Who Are The Spiritual Hierarchy? First of all, the word hierarchy as commonly used in English might seem an inappropriate choice, but these Great Ones have a Consciousness that is so far advanced beyond that of the puny, human intellect that it is unimaginable to all but a few. Furthermore, there is a natural ordering of the responsibilities of these Beings within The Hierarchy, and that is dependent upon the Level of Initiation which They have achieved. These Lofty Ones have gone beyond the dense physicality that we experience on Planet Earth, but until the Fifth Initiation (the Revelation) They continue to incarnate into this Third Density Reality to assist the evolutionary developement of Humankind. In the West They have also been called The Elders of the Race, The Spiritual Government, and The Great White Brotherhood (white referring to the Light that They radiate). There are seven Great Divisions within The Hierarchy, each working with the vast energies of one of the Seven Rays to influence planetary affairs, and each Division is headed by one of The Lords or Chohans of the Seven Rays (these are human designations only -- for easier comprehension). At the head of this Hierarchy is The One Who is called Sanat Kumara. This Being may rightly be considered as The Lord of the World and has also been referred to as "The One Initiator", "The Youth of Endless Summers", and "The Ancient of Days" in the Bible. The entire planet is held within the Aura of this Great Being, and He can be thought of as The Direct Representative of The Creator for Planet Earth. It is the Plan of Sanat Kumara to which all of The Members of The Hierarchy are dedicated and which They have served through the eons of time. The Higher Self of Sanat Kumara is The Planetary Logos for Planet Earth, The Silent Watcher. Sanat Kumara came to this planet at a particularly dark time in its history 18 million years ago in an act of unfathomable compassion to try to extricate the dominant species of animal-man (and future humans) from their devolutionary downward spiraling. The Creator of this star system (The Solar Logos) was considering the elimination of this planet because of the inability to raise the consciousness of the primitive, violent species of human-like anthropoids (with miniscule mental activity) despite repeated attempts. The very presence of the Energy Field of Sanat Kumara reversed the course of human history and the destruction of the planet (for the sake of the entire system of planets). Sanat Kumara, along with Those Who have been called The Lords of the Flame, came from the Planet Venus. They did not come from a level of reality (Third Density) that we see with our telescopes but rather one much higher in frequency of beingness. Six other Kumaras accompanied Sanat Kumara: 3 Exoteric Kumaras of directed activity and 3 Esoteric Kumaras about Whom little is known. These Kumaras and Lords of the Flame then comprised the first, ancient White Brotherhood and established the Central Focus for their mission at the Aetheric Level over what has become the Gobi Desert of China. It continues to this day and is known as Shamballa (click on "Shamballa"). Over the passage of eons of time, the original Members of The Spiritual Hierarchy have gone on their way to more highly evolved systems of evolution to be replaced by members of the Human Race Who have advanced themselves by sheer dint of effort through the vicissitudes and trials and heartaches offered by life on this planet. At a certain stage of planetary growth (Middle Atlantean Times), it was deemed necessary by Sanat Kumara to create the Path of Initiation to enhance and accelerate the advancement of consciousness, and this is the Path continued to this day, the Path known to all true Mystery Schools and Mystical Orders (for more information, go to "The Only Path On Earth"). In summary, then, The White Brotherhood is comprised of Initiates of varying degrees, Adepts of the Fourth Initiation Level (the Renunciation), Ascended Masters of the Fifth Level (the Revelation), Chohans of the Seven Rays (Sixth Initiation, the Decision), and The 3 Great Lords of Seventh Degree Level (the Resurrection): The Manu (1st Ray Dept. ), Lord Maitreya (2nd Ray Dept. ), and The Mahachohan (3rd Ray Dept.). Sanat Kumara and the other Kumaras (also known as Buddhas) administer the Plan, so to say. At a still Higher Level, there is The Solar Hierarchy which oversees the entire solar system. The First Three Divisions or Departments (human terms) are the major ones, and the First 3 Rays that are "stepped down" by those Chohans are the Divine Emanations of The 3 Aspects of The Triune Godhead (The Will of God, The Love of God, and The Mind of God -- Shiva, Vishnu, and Brahma). Rays Four through Seven are the Divine Emanations of The 4 Attributes of The Creator which proceed out of the 3rd Aspect (Mind) of God. These Forces are applied to human affairs according to the Plan of Sanat Kumara and the evolving responses of the Human Kingdom (for more about the 7 Rays, click on "The Seven Rays Explained"). 1. Division One -- First Ray (Divine Will) Please click on "The First Ray". The Manu (Vaivasvata Manu) oversees all work here. The Chohan is El Morya Khan. 2. Division Two -- Second Ray (Love/Wisdom) Please click on "The Second Ray". Lord Buddha (previous World Teacher, now The 2nd Ray Kumara. Monadic name is Amitabha, re-incarnate as Tzon-kha-pa - born 1355 A.D. in Amdo, Tibet, Founder of the Yellow Caps or Gyalugpas). Lord Maitreya oversees the Division (World Teacher after The Buddha and referenced as The Master of The Masters). Incarnate as Lord Krishna and the Great Swami Shankaracharya. The Chohan is Kuthumi Lal Singh (Current World Teacher). 3. Division Three -- Third Ray (Active Intelligence) Please click on "The Third Ray". The Mahachohan (Lord of Civilization) is The Overseer. The Chohan is Serapis Bey (The Egyptian). Rays Four through Seven are transmuted through The Consciousness of The Mahachohan and come under His direction. 4. Division Four -- Fourth Ray (Harmony through Conflict) Please click on "The Fourth Ray". The Chohan is Master Paul (not The Venetian). 5. Division Five -- Fifth Ray (Concrete Mind & Scientific Exactitude) Please click on "The Fifth Ray". 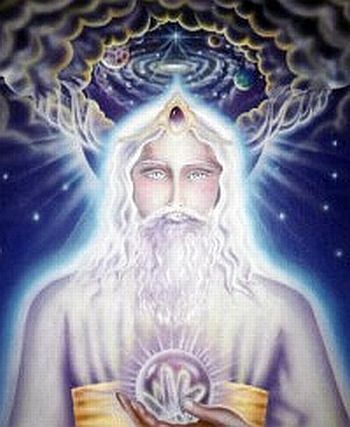 The Chohan is Hilarion, Who oversees all scientific and technological developement of the planet, all of the Healing Arts, and evolvement of the rational aspect of lower mind toward the higher, abstract mental capabilities. c) John, author of "The Revelations"
Master Markco, Who shares some of Hilarion's responsibilities. The Brotherhood of Truth, Whose relentless search for truth is symbolized by the lighted lamp (i.e. Diogenes). 6. Division Six -- Sixth Ray (Devotion and Abstract Idealism) Please click on "The Sixth Ray". The Chohan is Jesus (more accurately known as Sananda). 7. Division Seven -- Seventh Ray (Freedom, Transmutation, Ceremonial Order, and the Violet Flame) Please click on "The Seventh Ray". The Chohan is Master Rakoczi (also called Saint Germain - go to "Who In The World Is Saint Germain?"). Much could be said about The Hierarchy and volumes could be written, but I wanted to give only a brief introduction for the sake of those who have not become acquainted with The Greatest Benefactors the world has ever known. If interested, more may be found by clicking on "The Ashram Of The King" and "The Initiates Of Earth". Finally, I would like to mention that most of These Great Ones will be walking the Earth when the Transmutation of the planet into the next higher level of expression (Fourth Density) has been completed. That era has been called the New Golden Age, and the collective effort is known as the Externalization of The Spiritual Hierarchy. They will prepare the way for the next Avatar of The Christ Consciousness (Lord Kuthumi) Who will anchor in the Collective Unconscious the quality of Compassion, to remain for all subsequent time (see "The Coming Of The Christ").